It doesn't matter if you're in the early stages of planning or are ready to start making decisions, The Knot Shop can help you pick the right wedding ceremony decorations for your trip down the aisle. 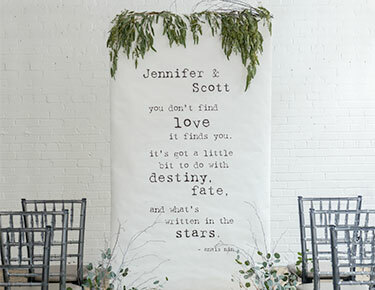 Create a stunning focal point that surrounds you as you say your vows with our eye-catching wedding ceremony backdrops, candles and luminaires or include your kids or pets with adorable wedding ceremony signs that announce the bride's arrival. 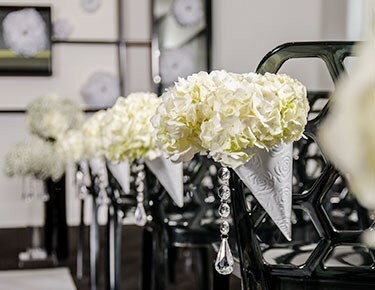 All of these wedding ceremony decor options come in various styles to blend with your wedding colors and theme.Every element of your ceremony is accounted for at The Knot Shop. 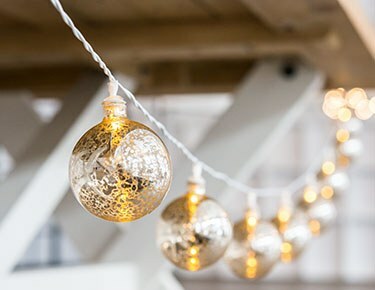 Some of the easiest ways to jazz up an otherwise drab chapel or outdoor setting is to adorn the chairs with garland, LED lights, paper flowers, pom-poms and kissing balls. These cute-as-can-be accessories are also designed to be strung up on your wedding arch to create something that's tailored to match your wedding style. 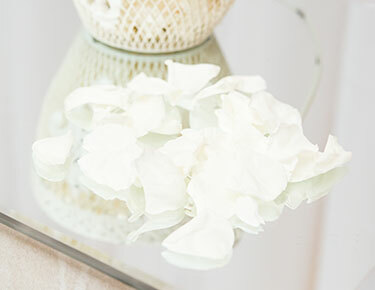 We also have post-ceremony toss options, like push-pop confetti and natural rose petals, for guests to shower you with upon the grand exit.When it comes to decorating, wedding ceremony decor should honor your unique wedding vision and the venue at hand. 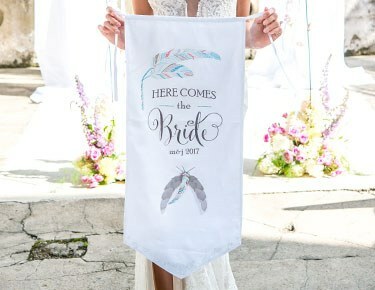 Shop styles for modern, vintage, classic, fairytale, nautical, coastal and summer wedding themes here. 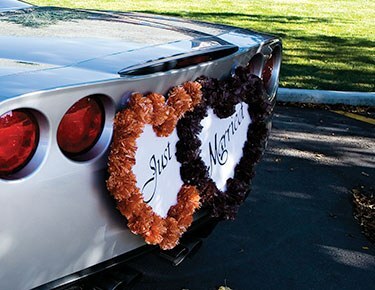 We've got ceremony decor for indoor and outdoor vows, including classic wedding banners and garland that you can string along fences, the altar and other structures for a sweet hanging display. All of these amazing items make a great way to add decoration to the wedding ceremony, but can also be used for the reception, bridal shower, engagement party or bachelor/bachelorette bash.